This is an exciting new brain tumor biotech center on Long Island at the Feinstein institute for Medical Research. 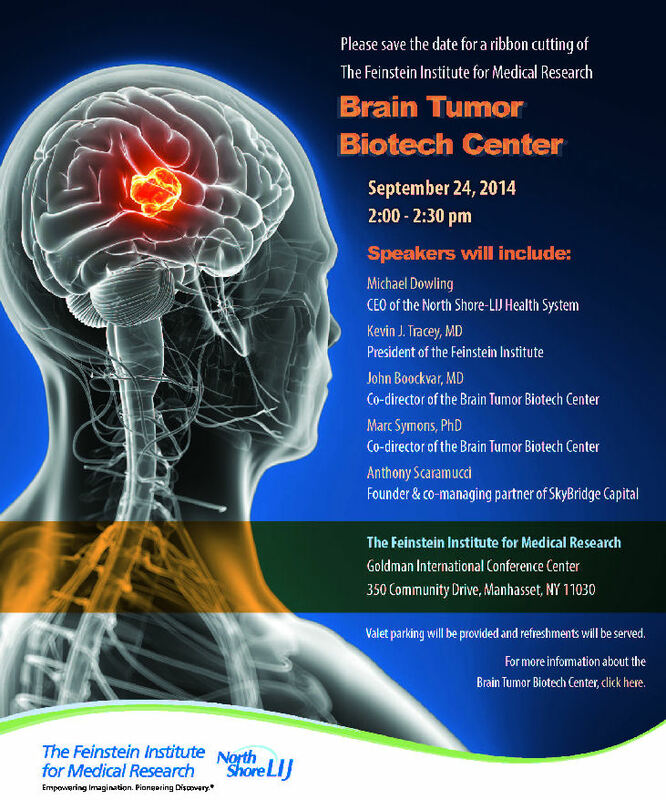 They are bringing together top researchers to work on finding a cure for brain tumors. This is a unique opportunity to visit the center and learn about their approach. I am on the Patient Advocacy board, along with Senator Patrick Kennedy of "One Mind For Research" and Mario Lichtenstein of "VABC".